The Scioto Foundation has announced the appointment of Patty Tennant as Program Officer whose primary responsibility will be donor relations. Tennant joined the SF staff at the beginning of August. Born and raised in Scioto County, Tennant graduated from Green High School in 1972. She attended Ohio University Portsmouth for one year before entering the work force as a Claims Supervisor for Daniels-Head & Associates where she was employed until the birth of her first child. 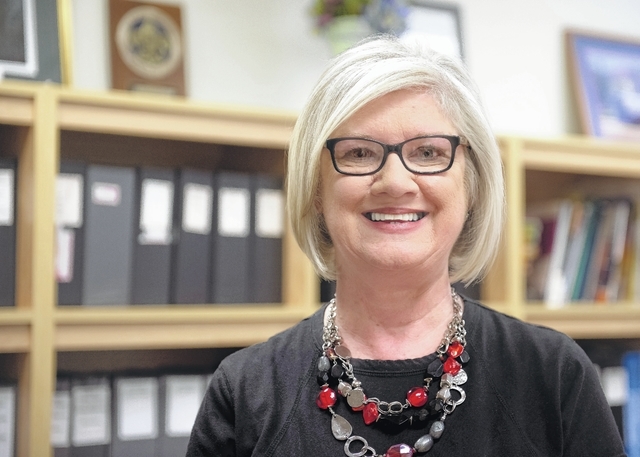 In 2000 she started working part time for Central Presbyterian Church as a secretary. She graduated from Shawnee State University with a degree in Business Management in 2003 and was named Outstanding AAB/Business Management Graduate. Tennant. In addition to those fundraisers, she was in charge of marketing, publicity, alumni relations and grant writing for the ND schools during the ten years she spent there. Patty attends St. Monica Church in New Boston where she served as Director of Religious Education for over 20 years. A member of the Leadership Portsmouth Class of 2009, she has also worked with Habitat for Humanity. She is married to Steve Tennant, Modernization Coordinator at Portsmouth Metropolitan Housing Authority. Her children include Stephanie (Josh) an engineer for CH2M; Brian (Alison) an athletic trainer employed by SOMC and Kyle, a student at The Pontifical College of the Josephinum in Columbus. She also has six grandchildren.